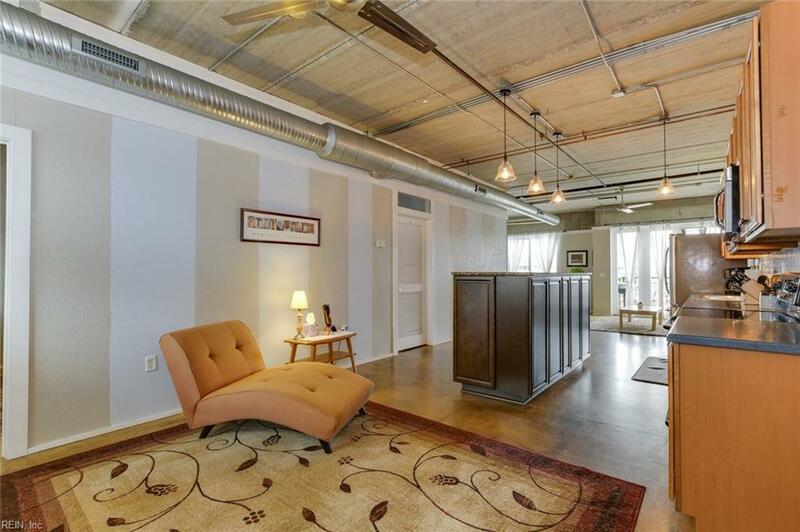 Don't miss this fabulous loft style condo in the heart of downtown Norfolk! 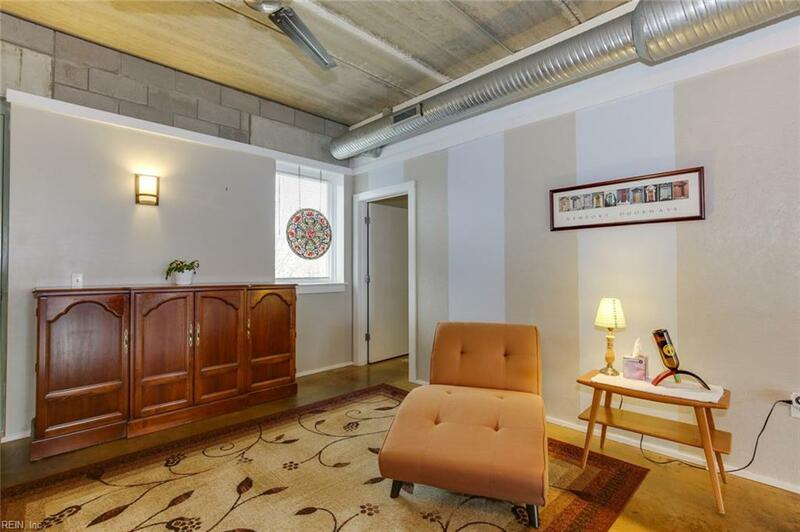 Fantastic urban living with high ceilings, exposed ductwork and concrete floors. Master bedroom has large walk-in closet and ensuite bathroom. Second bedroom space is open to living area, but can be divided off with a wall or partition. 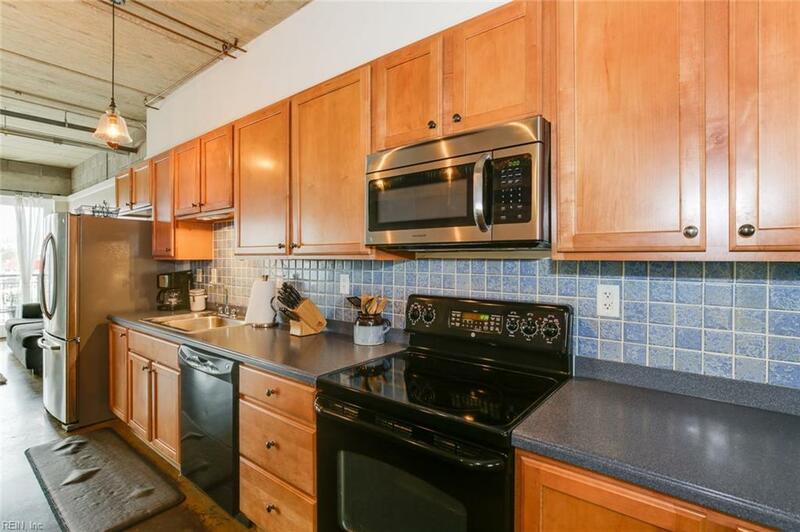 Condo fee includes, water, trash, sewer, community grill and garden, building and grounds maintenance. New AC, heat pump and washer/dryer in 2017, new decking installed on balcony in 2018. 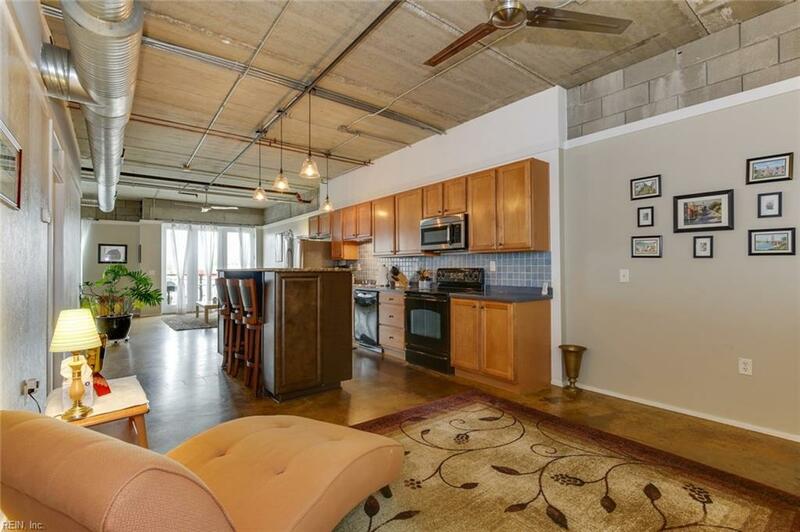 Within walking distance to MacArthur Center, Waterside District, the Scope and Chrysler Hall!